A royal care enriched with 20% of Shea Butter. 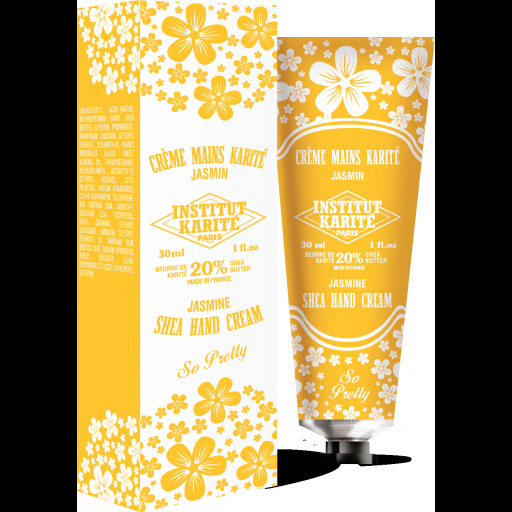 a silky and non-sticky texture, quickly absorbed, to bring confort and gentleness to skin. 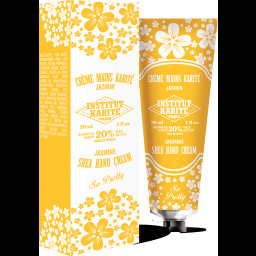 A silky and non-sticky texture, quickly absorbed, to bring confort and gentleness to skin. Seen as a symbol of beauty and elegance in the East, legend has it that Kâma, the Indian god of love, pierced hearts with jasmine-tipped arrows. The flower is thus offered as a token of love… At the heart of Montmartre, many jasmine sellers set up their stands each morning at dawn, giving out free bouquets to passers-by. A truly idyllic neighbourhood where culture meets Parisian romance. At the highest point of Montmartre hill stands the Sacré-Cœur basilica, an iconic Parisian monument for lovers, where the light fragrance of jasmine rises with the sun in the early morning. Today, Institut Karité Paris reveals the mysteries of this pretty flower, to bring you an enchanting rush of divine floral and sunny notes.